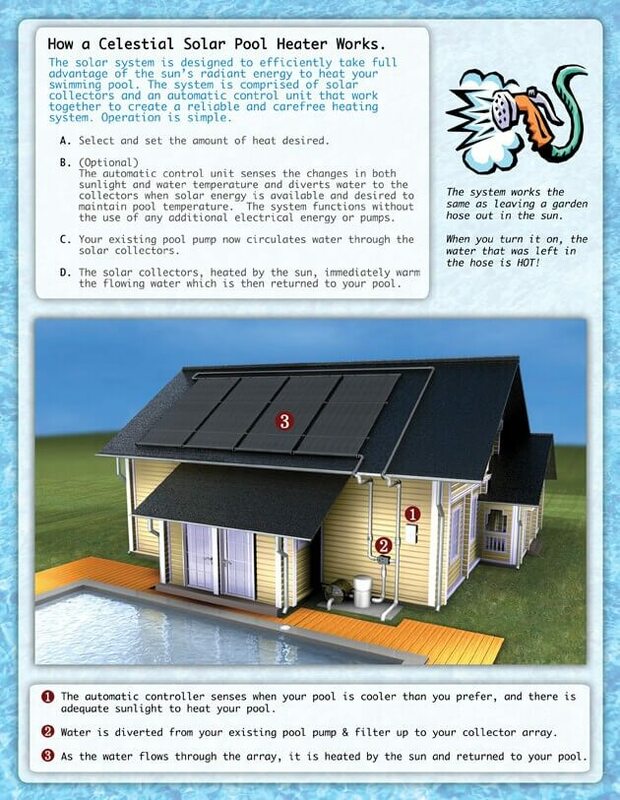 Celestial Solar Pool Heating will be able to help anyone with their solar pool heating systems Banning, CA to extend their swim season, especially through the use of the iSwim solar heating setup. 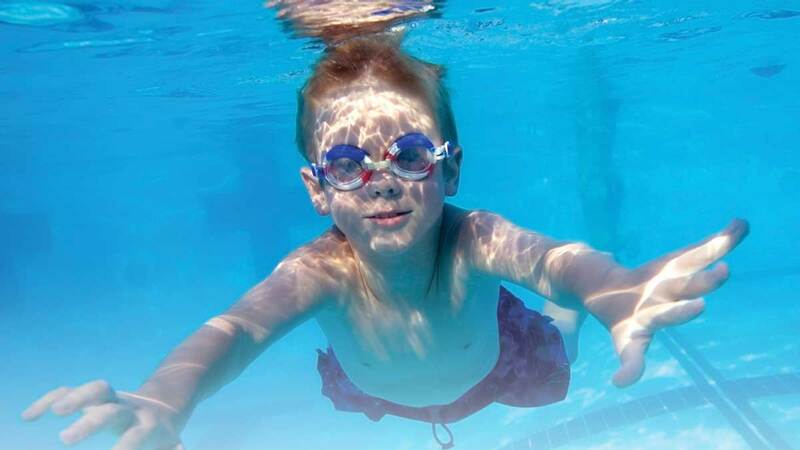 Even if the summer season is coming to an end the solar pool heating will make it longer when it comes to pool activity, which will be great news for all those families with children. 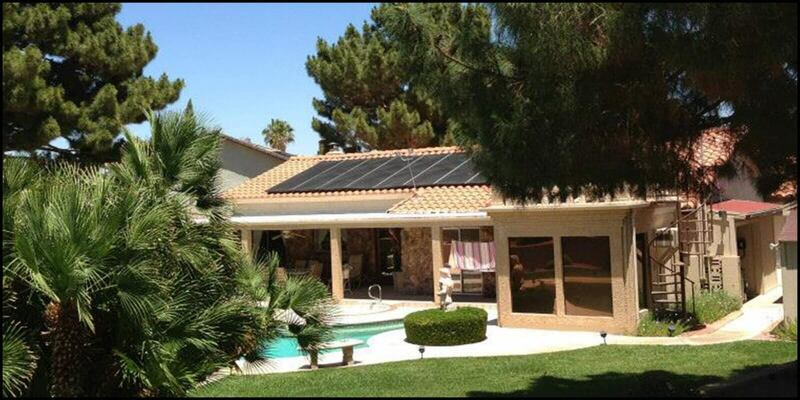 The company is able to triple the time a pool is active for the entire family using its solar heating systems and these can be quickly installed in any household in Banning, CA. There is nothing to be missed out on when it comes to the swim season and the presence of the solar heating system which will make every day count, no matter how hot or cold it might get. A longer swim seasons means that anyone who exercises and works out in their pool will get to use it a lot more every year. Pool heating solutions from Celestial means that a family can use their time better and not waste it, mainly because with these systems the end of the summer does not mean that the swim season is over. 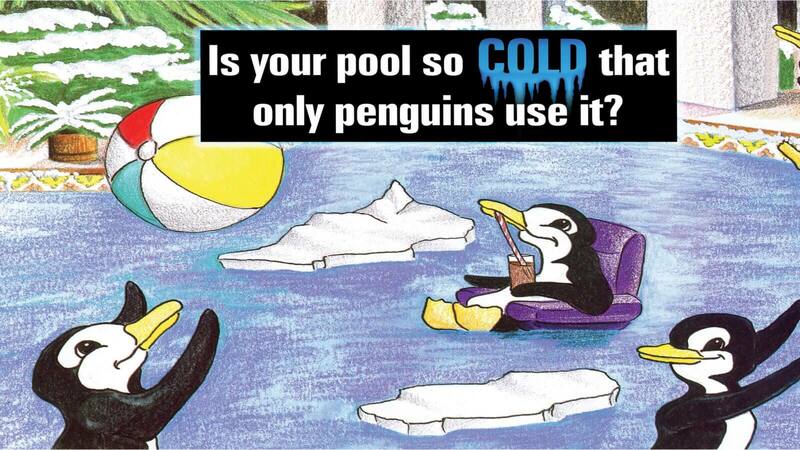 Since 2003, the company has installed well beyond 100,000 solar panels used for pool heating. The same business helped out private individuals and business organizations across the Southwest, including much of Southern California and the Las Vegas Valley. Through speed and effectiveness, the company can install a heating system on a pool in Banning, California in a matter of a single day. With a warranty of 25 years and solar panels from iSwim which are top notch when it comes to durability, these heating solutions are built to last. The company also offers a limited warranty on installation that lasts a lifetime. Having a solar pool heater system comes with a range of benefits, but probably the biggest one among them is the fact that it keeps the pool water temperature at a very comfortable range. 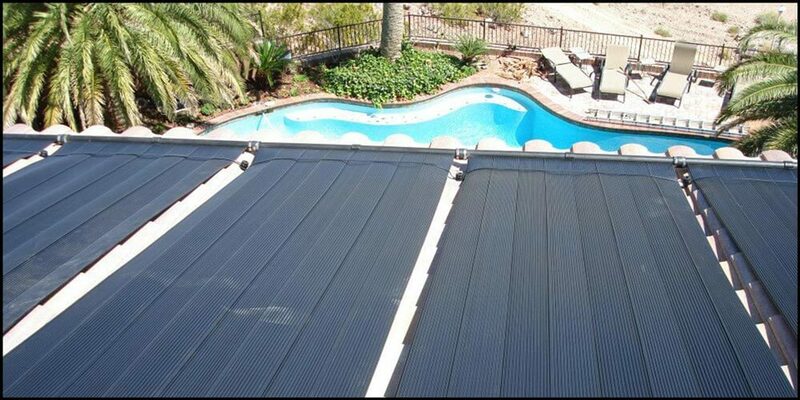 The systems offered by Celestial Solar Pool Heating provide a method of having the swim season for any individual, couple or family tripled in length. The longer time the family pool is active means that the children will get more opportunities to be active and stay moving, which also means they will be healthier. A solar heated pool is a great addition to a home for adults because it provides them with a chance to relax and enjoy their pool for a longer period each year. Solar pool heaters are powered by the free, harmless and endless energy coming from the sun which is why they will lower the utility bills for the entire household. 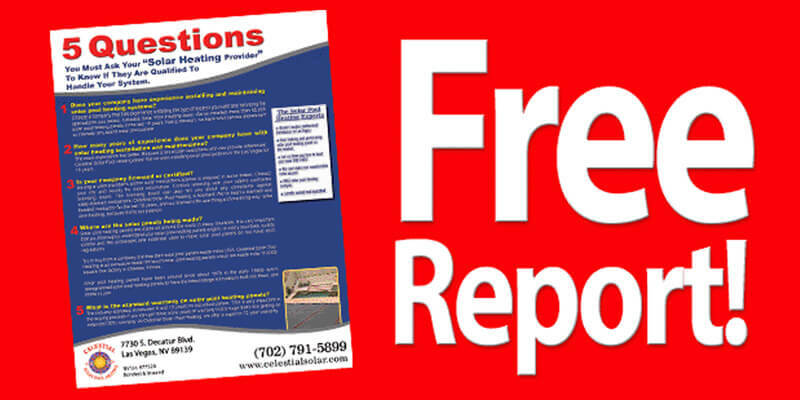 Celestial Solar Pool Heating Company is well known for providing its clients with an in-home estimate that is completely free and which will determine how a solar pool heating system can be installed there. The company’s in-house estimate is designed to be fast and effective, which is the reason why it will last a maximum of 90 minutes, with most ending in about 30 to 60 minutes depending on the size of the property. The Celestial Solar Pool heater estimate will be completely transparent and come with no hidden costs or fees; the price that will be provided will be the same as the one, which the property owners will pay. 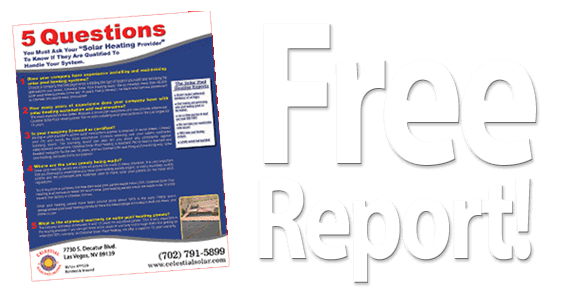 Technical glitches on solar swimming pool heaters are at times difficult to avoid. In case such events are encountered, there shouldn't be much to be worried as we a professional team that can be relied on to offer quick troubleshooting measures. We do round the clock, and consequently; our clients can use their swimming pools normally after we have provided the necessary fixtures. Our repair services are delivered on fast mode basis, as we never want our customers to miss out on the beautiful swimming moments on solar heated pools. 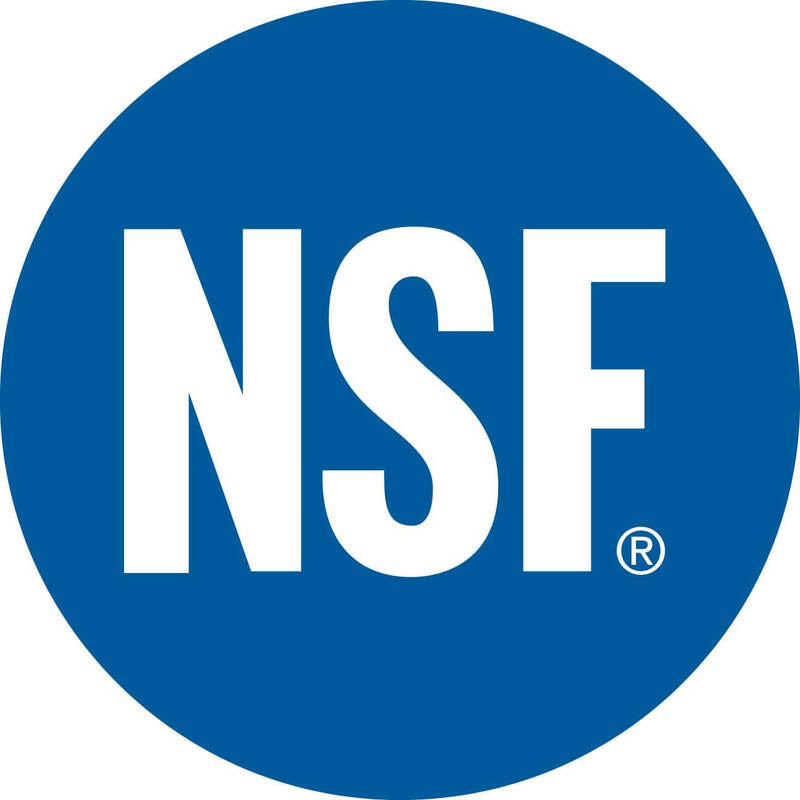 The services fees charged for pool systems repair is affordable, and the benefit is that customers are assured of having a fully functioning pool without resorting to emptying their pockets. Our technicians can repair any system they are presented with, and all that is required is for the clients to invite us into their residence or premise. Instead of this, the solar pool heating installations needed for the system are done exclusively in-house. 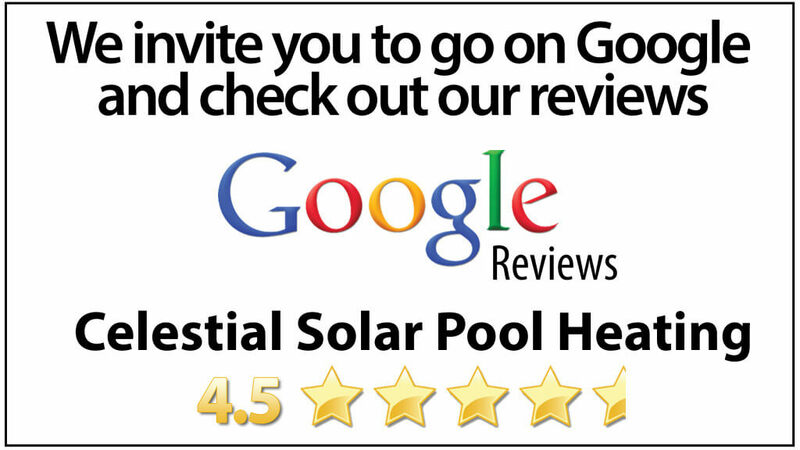 All employees of the Celestial Solar Pool Heating are highly trained and highly motivated to do their job. Because of this fact, every solar pool heater Banning, CA installed by the company will be provided in a flawless manner. The information that the company is fully insured, bonded and licensed in both California and Nevada is a testament to its dedicated approach. With this, any future client can be assured that their solar pool heater installation is in good hands. Celestial Solar Pool Heating provides services that cover repairing the pre-existing systems in Banning, CA, but also in other places as well. This comes regardless of the type of systems or the location place of residence; in any case, the company will fix the solar pool heating system. The wealth of knowledge and experience allows it to approach any repair or maintenance job in this confident manner.